The Culture Ministry decided to cut its financial support for some of the best known cultural events such as the Skopje Jazz Festival and its spin-off, the Off Fest festival. This decision caused outrage in the public, and even some of the Government appointed culture committee members voiced their condemnation. We are in shock after seeing the annual Culture Ministry program. This is clearly not a technical oversight. We were omitted because of the personal opinions of committee members. We’ve never seen such amateurism, said Oliver Belopeta, director of the Skopje Jazz Festival. It’s noticeable in the program that Albanian cultural events or events in majority ethnic Albanian cities received funding, while Macedonian events are being cut. Culture Minister Asaf Ademi has announced he will divert funding toward the Albanian culture and even gave public funds to a nationalist football fan group from Tetovo. The program provides 1.5 million denars for the Tetovo Jazz Festival, while cutting funding for the far better known Skopje Jazz Festival. 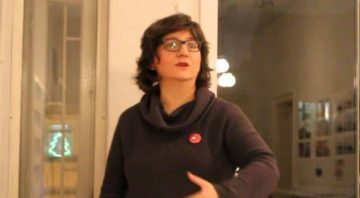 Director Zoja Buzalkovska responded to the publication of the program by resigning as member of the Government’s Culture council, and made her letter to Prime Minister Zoran Zaev public, accusing him of using the cultural events as bargaining chips with his ethnic Albanian coalition partners. You, Mr. Zaev, sacrificed our culture! Culture and education are the first areas you harm whenever you need to bargain with votes. This tells us about your understanding of the immense cultural importance for the country, Buzalkovska told Zaev in her open resignation letter. Actor Oliver Mitkovski said that, even though he was a member of the Commission which decided which events the Culture Ministry should fund in 2019, he does not agree with the document. Mitkovski cited cuts to the Macedonian National Theater, the Skopje Drama Theater, the Bitola National Theater and other drama institutions as the reason why he rejects the program. According to Mitkovski, the program tries to fund too many projects, but limits the amount they can receive, causing it to widely over-expand but not go deep enough. The Turkish theater also denounced the program, after it received funding for only two new projects. Meanwhile, Albanian cultural institutions like the Artal association received 3.5 million denars – one of the highest sums in the program. 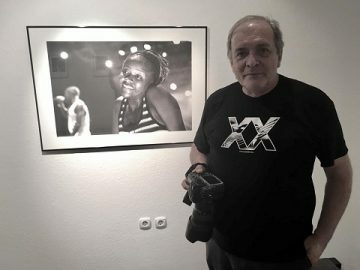 Macedonian music legends like Vlatko Stefanovski and the ethno music group Synthesis received only a fraction of the funds they competed for, and the Taksirat festival was also cut to only 500.000 denars, while the favored Artal association will organize a well funded guitar rock festival instead.